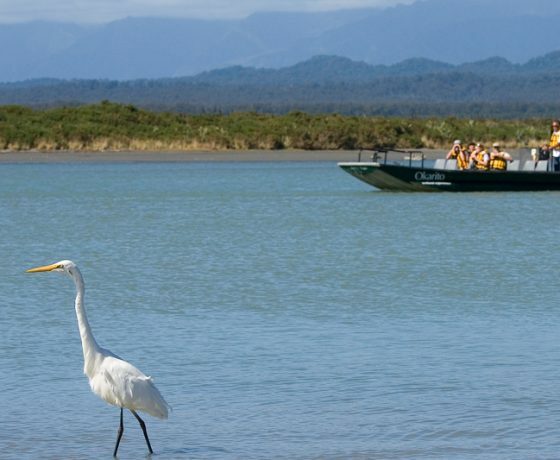 E xperience the tremendous diversity of one of the West Coast’s most pristine South Westland World Heritage area with Okarito Boat Tours who will transport you from the historic Okarito Wharf to lagoon and beyond, into the rainforest waterways on one of New Zealand’s largest unmodified wetlands. 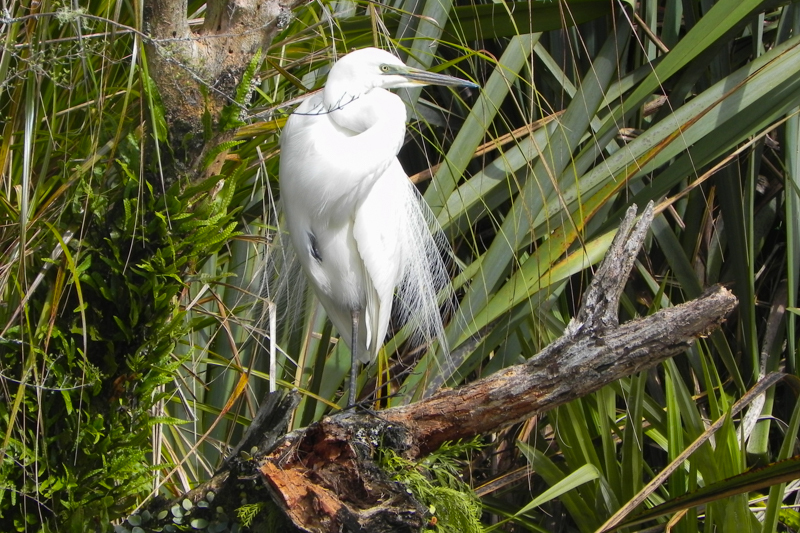 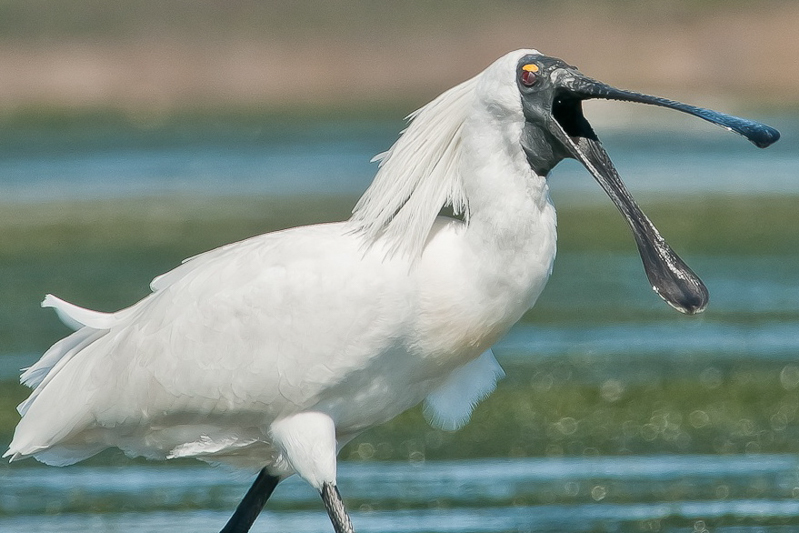 View the birds and plants that make this area so magical including Great White Herons, Royal Spoonbills, lagoon and spectacular rainforest. 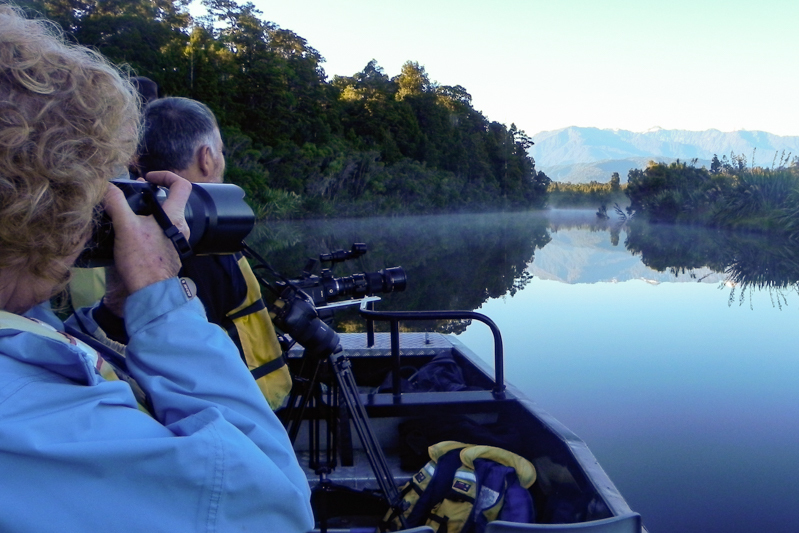 Swade will take you on a total sensory experience on his custom built open air boat which offers 360° views amongst the nesting birds. 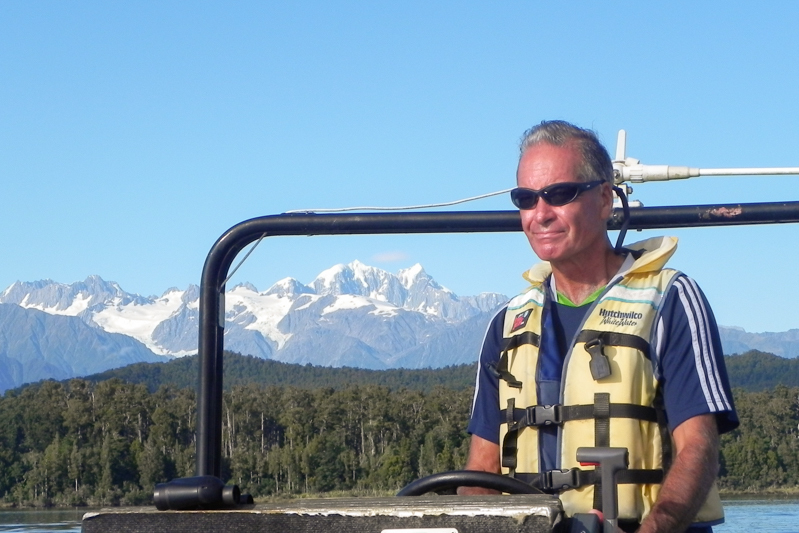 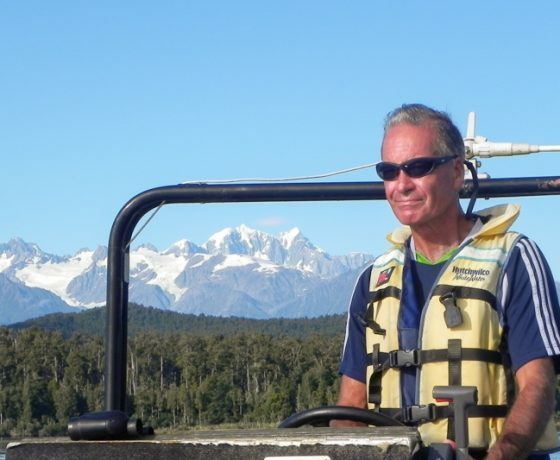 He will help to identify the wading birds, forest birds and the plants of the rainforest, including the graceful Kotuku – Great White Heron, Royal Spoonbill, leggy Pied Stilt, Intrepid Godwit and many, many more and backed by the towering Mount Cook, Mount Tasman and the Franz Josef Glacier…. 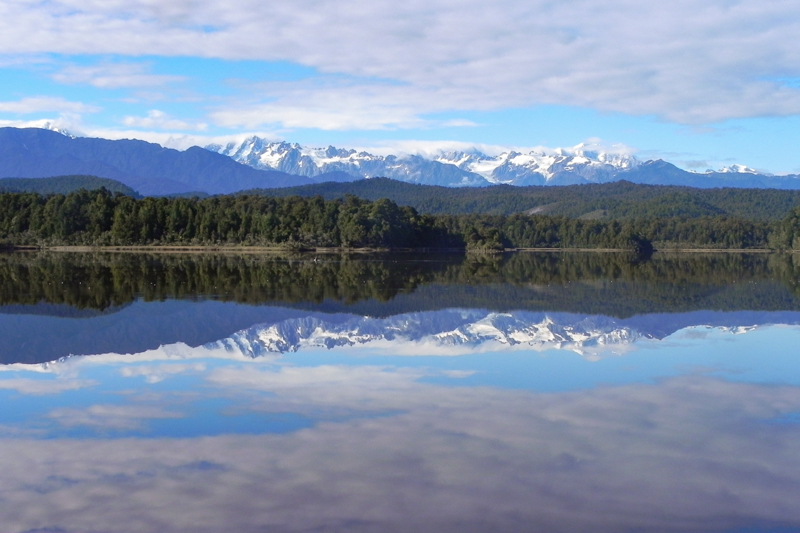 you couldn’t wish for a more spectacular environment. 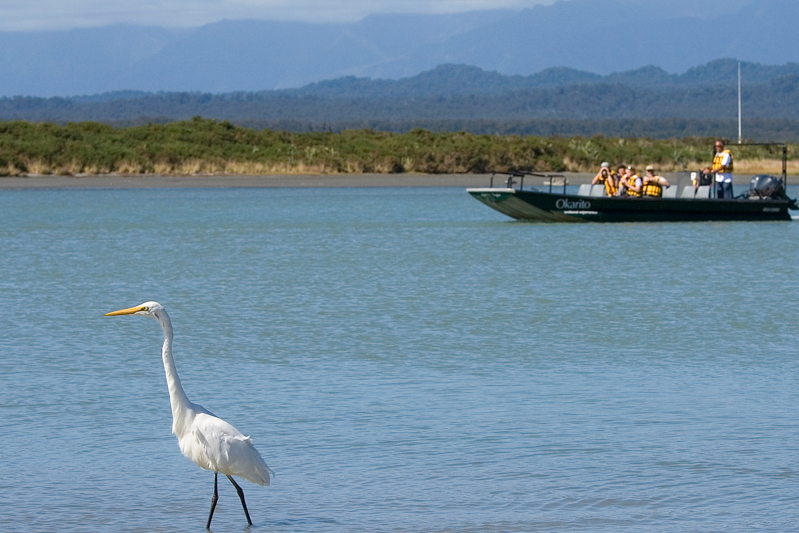 As you move slowly into the shallow environs of the lagoon and the rainforest you will have lots of photo opportunities of both the wildlife and the stunning landscape that surrounds you. 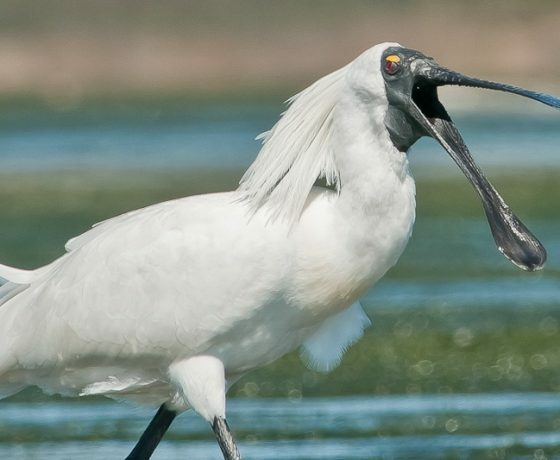 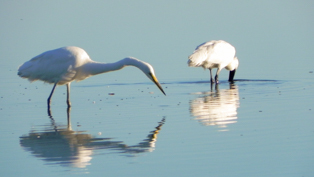 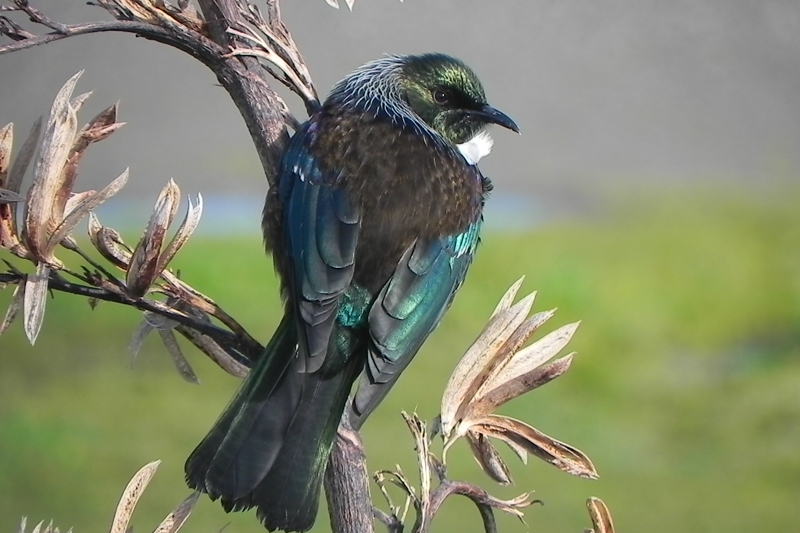 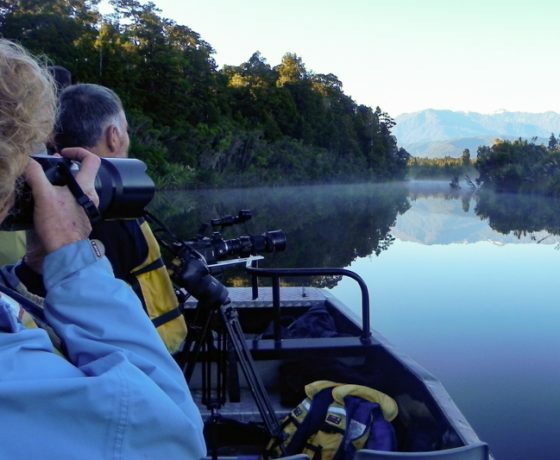 If you want to see the best that Okarito has to offer the ‘Early Bird Tour’ which lasts approximately 80 minutes is ideal for summer and perfect for photography and bird enthusiasts alike. 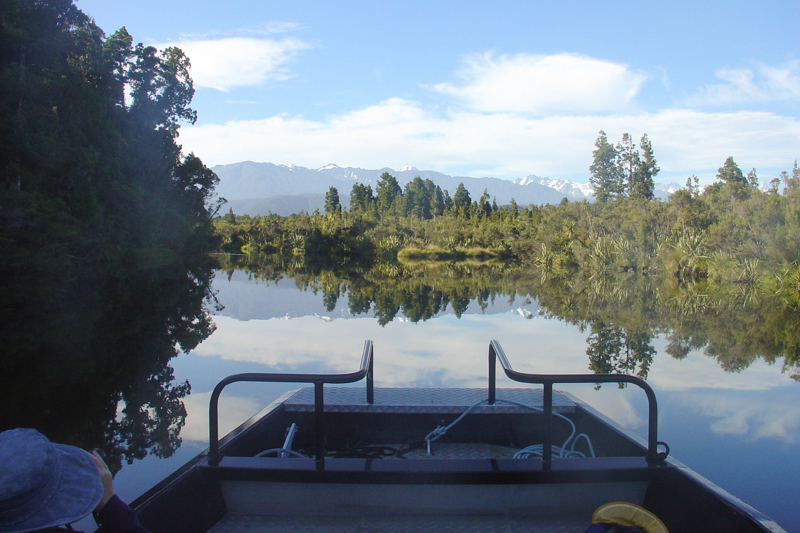 With its beautiful light and calm waters this is our favourite time of day showcasing a lot of bird activity as they feed on the lagoon and on clear calm mornings there are fabulous views of the Southern Alps. 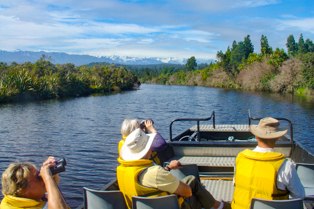 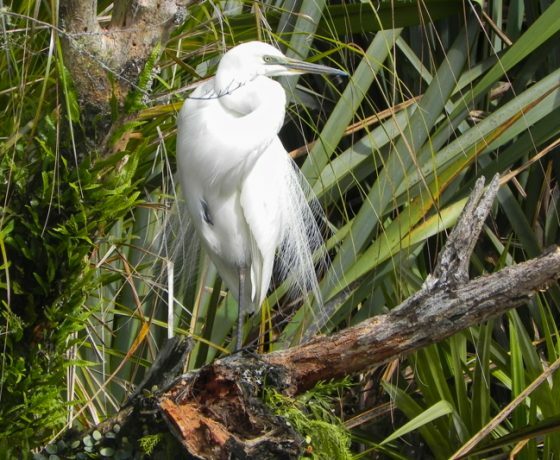 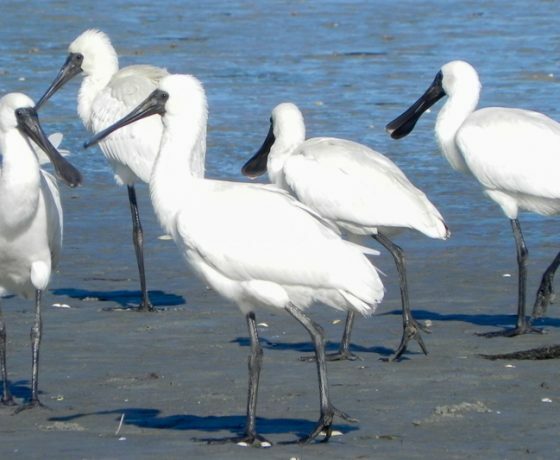 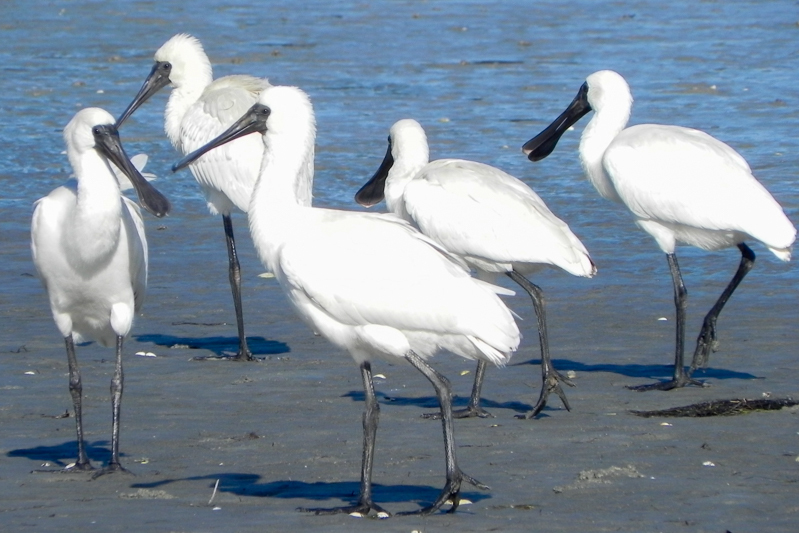 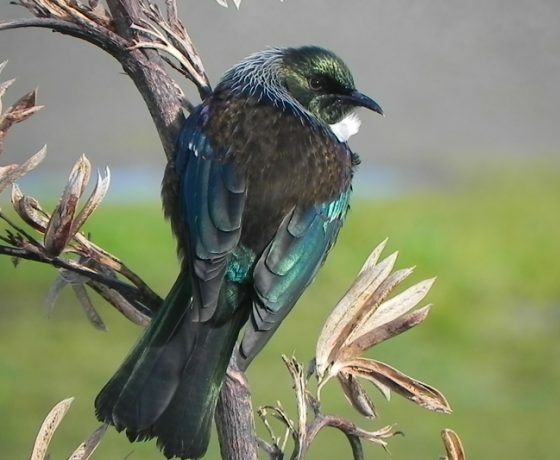 The ‘2 Hour Ecotour’ is the most interpretive tour and encompasses all that is special to this area viewing many native and migratory wading birds in the lagoon followed by a meander into the rainforest waterways of the Okarito River where you can listen for the melodic calls of the Bellbirds, Tuis and New Zealand Pigeons. 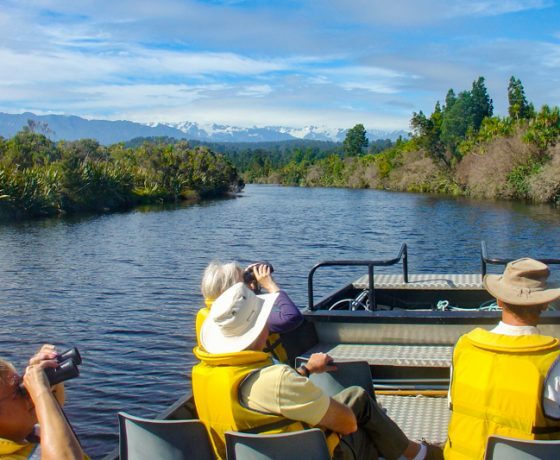 Enjoy the scents and colours of the flora, the wild, red splashes of the Southern Rata, the scent of native Jasmine and the seasonal flax which are full of nectar for the birds. 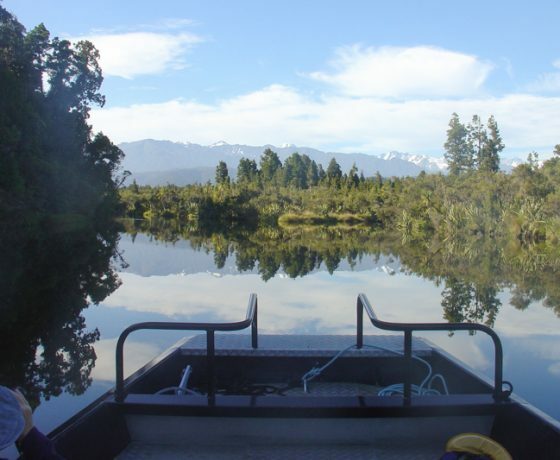 With a maximum of 12 Passengers you can sit back and relax, take in the serenity of your environment and the Southern Alps or join in with the commentary on the geology, history, flora and fauna of the region. 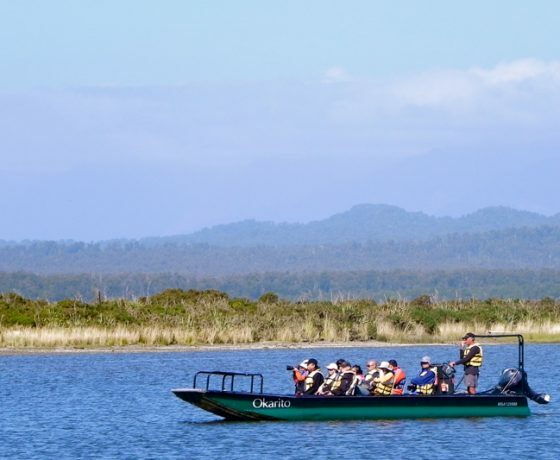 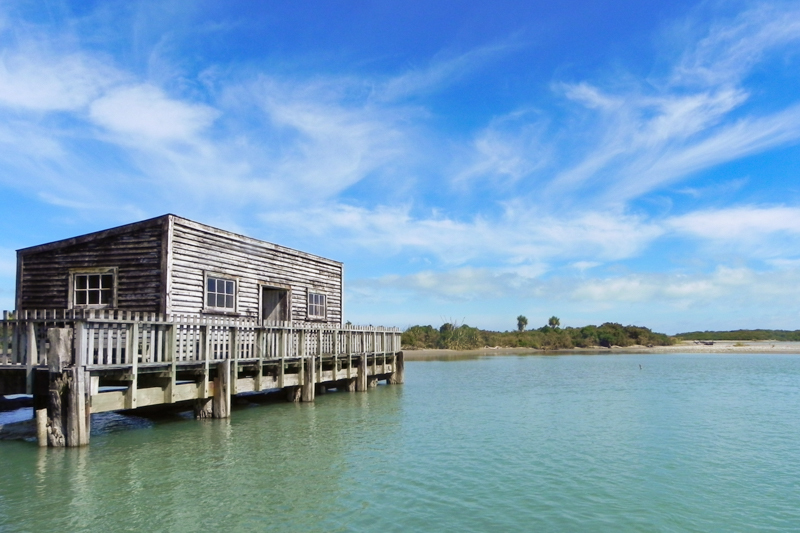 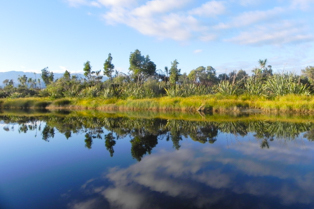 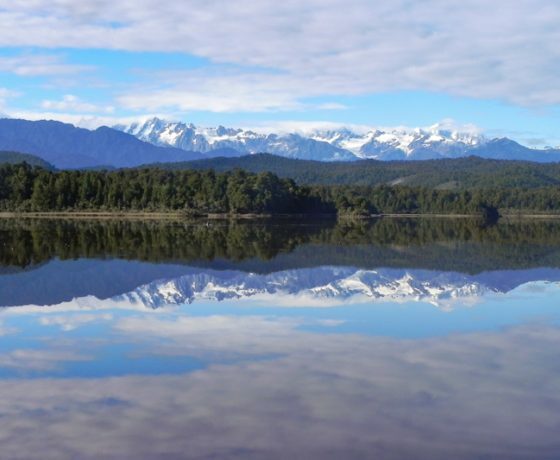 For an introduction to the natural, untouched Okarito Wetland environment the 1 hour ‘Okarito Wetlands Tour’ enables you to add this to your afternoon itinerary after a visit to the glaciers and encompasses the formation and geology of this pristine, wetland environment. 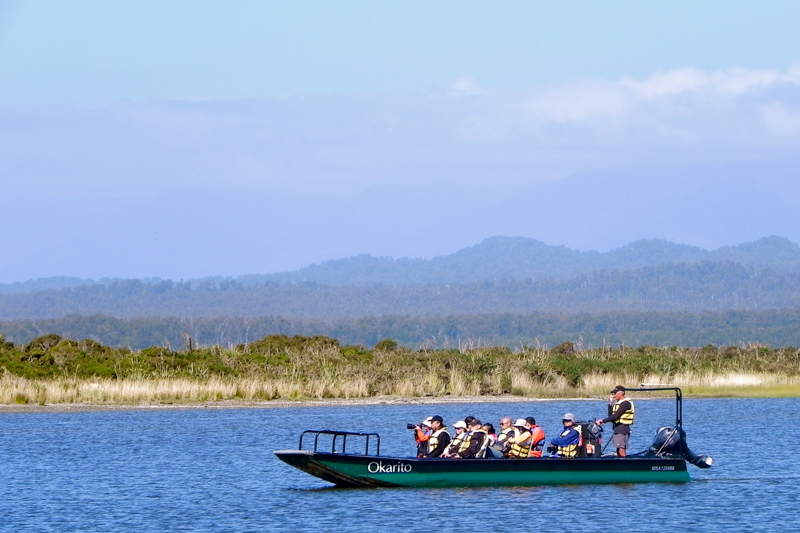 View the Tasman Sea, the pretty inland lagoon with its feeding birds at low tide, the transition to rainforest with its Cabbage trees and Manuka to the very edge of the forest with its towering Kahikatea trees. 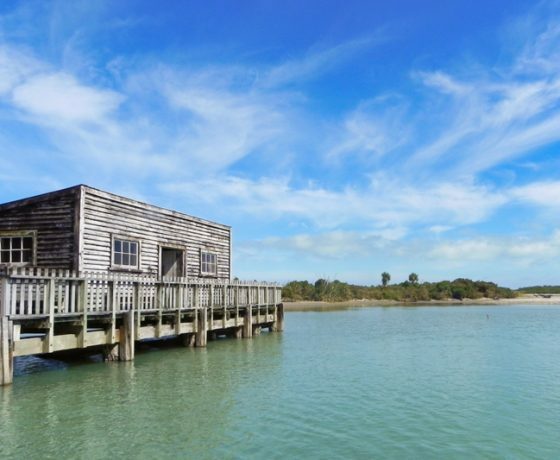 Why not stay in Okarito where we can offer you an Accommodation & Tour Package option with a choice of comfortable, private homes to relax and unwind in and suitable for couples, families and small groups alike.